The opening day of the women’s NCAA tournament is behind us, and the field will be narrowed to 32 teams on Saturday. Charlie Creme and Mechelle Voepel of espnW weigh in on the best and worst of Friday, and look ahead to what we might expect from another thrilling day of games. What surprised you most from the first day of the tournament? Charlie Creme: It hasn’t been a vintage season in the Big 12, but the way No. 9 seed Kansas State and No. 7 seed Texas went out in the first round was disappointing. The Wildcats’ loss to Michigan wasn’t unexpected; the Wolverines entered the tournament having won nine of their last 11. But a 30-point margin in an 8-9 game is shocking. Michigan shot the ball well, but was just tougher with an almost-unheard-of 50-19 rebounding advantage. Texas won the battle of the boards, but it wasn’t enough to overcome an offense that routinely looked out of sync, struggled from the 3-point line (4-of-17), and turned over the ball 23 times. These same issues plagued the Longhorns all season, and the whole never equaled the sum of the parts. After four straight trips to the Sweet 16, Texas is gone on the tournament’s first day after falling 69-65 to Indiana. Mechelle Voepel: How close No. 15 seed Mercer came to knocking off No. 2 Iowa at home. Yes, the Bears came in on a 17-game winning streak, but did anyone really expect them to push the Big Ten tournament champion Hawkeyes to the buzzer? No. 12 Bucknell scaring No. 5 Florida State was another surprise. The Seminoles won 70-67, and had to be happy they escaped a Bison team that nearly pulled the upset despite being outrebounded by 21. Creme: Iowa got a monster game from Megan Gustafson and shot 55 percent from the field, yet still struggled to beat Mercer at home. Perhaps it’s a case of getting that first win out of the way and then playing better — but the Hawkeyes didn’t look like a No. 2 seed. Gustafson is good enough to carry a team, but she needs help. Guards Tania Davis and Kathleen Doyle have had good seasons, but weren’t good on Friday. They have to be better shooting the ball and taking care of it. Now, Iowa gets to play another team in Missouri that just escaped a lower seed and has a superstar senior. Gustafson and Sophie Cunningham got to survive another day, but one will see a career end on Sunday. Voepel: As Creme said, No. 8 seed Michigan was impressive. I thought the Wolverines might be challenged by No. 9 Kansas State, but instead they blew the Wildcats off the court 84-54. Michigan completely shut down the Wildcats inside, holding their starting frontcourt to a combined five points in addition to outrebounding K-State 50-19. Michigan has played well since the start of February, and almost knocked off Maryland in the Big Ten tournament. Next up is No. 1 Louisville, and that could be interesting. What was the best moment from Friday? Creme: Buffalo is making a home in the NCAA tournament. The look on senior Cierra Dillard’s face as the Bulls were salting away their win over Rutgers to win the program’s third tournament game in two years said it all. It was a look of complete confidence. She was extolling the crowd in Storrs to enjoy the moment as much as she and her teammates were. Dillard, the nation’s second-leading scorer at 25.2 PPG, played an outstanding floor game against the Scarlet Knights, with 20 points, six assists, four rebounds and four steals, playing all 40 minutes. How long she can maintain that confidence is the key, especially with Buffalo set to face UConn at Gampel Pavilion in the second round. Voepel: Missouri senior forward Cierra Porter hit a 3-pointer against Drake to tie the score 70-70 with 3:18 left in overtime. It was just her third trey of the season, and was even bigger than her second. That came late in a Feb. 14 game when Missouri upset Mississippi State. Porter started this season away from basketball, medically retiring because of knee issues. But then she felt well enough to return in late December, and has made a huge difference for the Tigers. 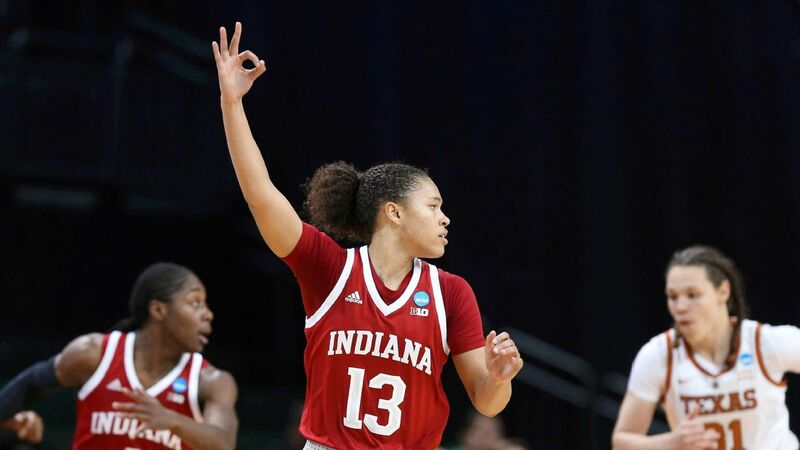 She had 18 points against Drake, and that 3 was as crucial as it was unexpected. Give us one Saturday upset pick that would shock most of the world but would not shock you. Creme: Simply looking at their seeds, it might come as a surprise to think that Little Rock will beat Gonzaga, but a No. 12 seed has beaten a No. 5 in three straight tournaments. So far, three of the 5-seeds — Arizona State, Florida State and Marquette — have advanced. History and math leave Gonzaga vulnerable on Saturday (ESPN2/ESPN App, 3:30 p.m. ET). But seeds aside, injuries are the real reason the Zags might be susceptible. With starting point guard Laura Stockton and second-leading scorer Laura Townsend out with injuries suffered in the West Coast Conference tournament semifinals, and coach Lisa Fortier still dealing with the death of her brother two days later, Gonzaga isn’t the same team that won the WCC regular season and upset Stanford early in the season. The Trojans, short of a mid-February stumble, dominated the Sun Belt and have a dangerous tandem in Ronjanae DeGray and Kyra Collier. Voepel: I won’t be surprised if No. 11 seed Missouri State is able to get past No. 6 DePaul (ESPN2/ESPN App, 3:30 p.m. ET). The Lady Bears beat Drake twice this season, and we saw how close the No. 10 seed Bulldogs came to upsetting No. 7 Missouri on Friday. Missouri State looked very strong in winning the Missouri Valley Conference tournament title.